Should You Shoot a Siderod Stabilizer? Home » Bowhunting Blog » Should You Shoot a Siderod Stabilizer? So you’ve been thinking about adding a siderod to your bowhunting rig, eh? Stabilizers are one of the most misunderstood and least utilized accuracy aids bowhunters have at their disposal. But they don’t always use them, and if they do, they often don’t use the right ones for what they want to accomplish. And as much as front stabilizers are misunderstood and underutilized, the siderod stabilizer is even deeper in the weeds. But use one correctly for a while, and I’ll bet you won’t shoot without one again. Using a siderod in conjunction with a front stabilizer helps balance a compound bow. The purpose of a siderod is to help balance your bow. It points back toward the archer and is mounted to a connection called an offset mount that’s attached to your bow either in the same bushing as your front stabilizer, or to one that’s low and on the inside of the riser. Because it sits on the side of your bow, it helps counter accessories such as quivers and sights mounted on the opposite side of your bow. Assuming it has weight on the very end, it also helps counter the weight of a front stabilizer. Have several weights on hand so you can experiment with your siderod and front bar weights to see what works for you. Using a siderod really is pointless without using a front stabilizer. The exception would be if you use one of those sliding siderods alone, like the new Bee Stinger Microhex Counter Slide. But to get one of those to work properly, you’d position it to stick partly out in front of your bow and partly behind. So essentially, it would serve as both a front rod and a siderod. But that’s a unique case. Generally, we’re talking about a siderod that is it’s own stabilizer, extending back toward the archer. That bar is more likely to cause problems unless you match it with a front stabilizer. Here’s where bowhunters often goof up. In order to truly stabilize a bow, a stabilizer has to extend beyond the limb pockets, and the weight has to be concentrated at the end away from the bow. Those little, 4-inch rubber “stabilizers” that barely reach the ends of your limb pockets are great vibration dampeners, but they offer virtually no bow stabilization. What is bow stabilization? Well, it helps to steady the bow as you aim. It provides weight under your bow hand, so the bow stands up straight, and its weight out front resists hand torque. With most compound bows today, you’re basically looking at at least an 8-inch front bar – and more is even better. I use a 15-inch front rod on my bow. A long, front stabilizer alone, with a good bit of weight on the end, can cause the bow to nosedive at the shot. Depending on how much weight you put on the end of that front rod, the bow can really tip forward. So when you shoot, the front of the bow will want to nosedive. That can lead to low hits. Add a siderod stabilizer with enough weight to keep that bow from nosediving. How much weight you put on a siderod depends on how much weight you have out front, how long your siderod is and what feels balanced to you. I typically follow a 3-1 ratio for my stabilizer weights. For every 1 ounce of weight I have on my front rod, I have 3 ounces on my siderod. That seems to work with my combo of a 15-inch front rod coupled with a 10-inch siderod. You have to figure out what is right for you. The author puts 6 ounces on his siderod to offset the 2-ounce weight on the front. A popular front rod/siderod combo for bowhunters is to have a 10-inch front rod coupled with an 8-inch siderod. That promotes a fairly compact rig. But what benefits can you expect from adding a siderod stabilizer? Assuming you have it matched to the right front rod, you’re sure to notice a huge reduction in sight-pin movement – especially if you’re shooting 30 yards and over. The bow should naturally come to a balanced position at full draw, and you can relax and let the sight pin settle down on your target. With just a front bar, or with no stabilizers at all, you’re likely dealing with a ton of pin movement as you try to take aim. And when you release an arrow, it’s very easy to torque a bow left or right through hand pressure without any stabilizers. With a proper stabilizer setup, it’s harder to torque the bow. A siderod is an integral part of that proper setup. Also, a proper stabilizer setup will make your bow very resistant to hand shock. When you release an arrow, the bow should sit dead in your hand. If it jumps, you might see occasional fliers in your arrow groupings. With a good stabilizer setup that includes a siderod, bloody arrows are sure to follow. The first time you try a front bar/siderod stabilizer setup, you might hate it, thinking it makes your bow way too heavy. Start with very little weight on your bars, and allow your body to get used to it. You can add more as time goes by. But stick with it and see if your aiming doesn’t improve, and if your groups don’t tighten. I come back to this point time and again when talking about the value of stabilizers to bowhunters. Levi Morgan, Jesse Broadwater and Dan McCarthy are among the best target archers in the world. They also bowhunt. And when they bowhunt, they all have front rods and a siderod stabilizer on their bows. If anyone could shoot a bow without stabilizers, it would be these guys. But they don’t, because they know how a proper setup helps maximize their shooting potential. I’ve never used a side/front stabilizer combo. What brand would you recommend? Hey Eric, give Lancaster Archery’s website a look. There’s some great options from Bee Stinger, CBE and others. 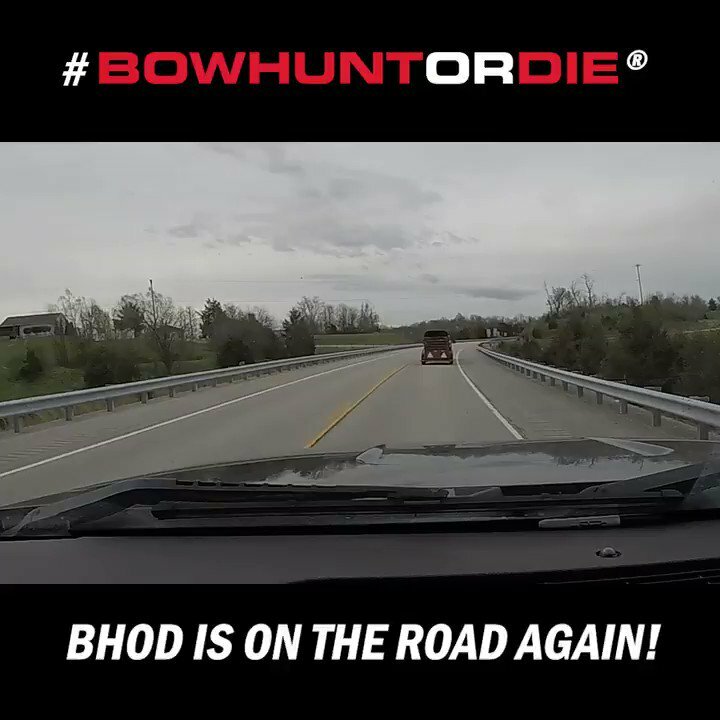 Thanks for visiting with us here at Bowhunting.com. Keep in touch.